Described by World Architecture Magazine as “London’s leading Futurist”, Bryan studied architecture at Leicester College of Art (now the De Montfort University), followed by a MA in the History and Theory of Architecture at Essex University under Professors Joseph Rykwert and Dalibor Veseley. In 1978 he established the practice, Avery Associates, wherein these theoretical studies have been allied to a passion for materials and construction technology to produce the architecture now characteristic of the practice. This can be seen in the practice’s best known London projects, the British Film Institute’s Museum of the Moving Image and IMAX Cinema; the Royal Academy of Dramatic Art Building (RADA); the headquarters of BHP Billiton at No.1 Neathouse Place; the London Transport Museum in Covent Garden; the Repton School Theatre and Offices at 8-10 Old Bailey in the City of London. This latter won the Chicago Athenaeum International Architecture Award in 2010. A full list of the many awards Bryan and his practice have achieved can be obtained on request. Bryan is a frequent Competition Assessor; is a Design Panel member for Southwark and has been an adjudicator for the RIBA, WAN and Civic Trust Awards schemes. His work has been widely published in the UK and abroad and he has lectured on the work of the practice at the Royal Institute of British Architects and at most of the UK schools of architecture. 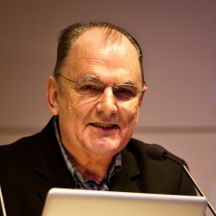 His book ‘Fragments of Wilderness City’ was published in 2011. In 2015 Bryan was awarded an MBE (Member of the British Empire Medal) for his services to architecture and the Bene Merenti Medal ‘Ad Majorem Architecturae’ from the Ion Mincu University School of Architecture in Bucharest.